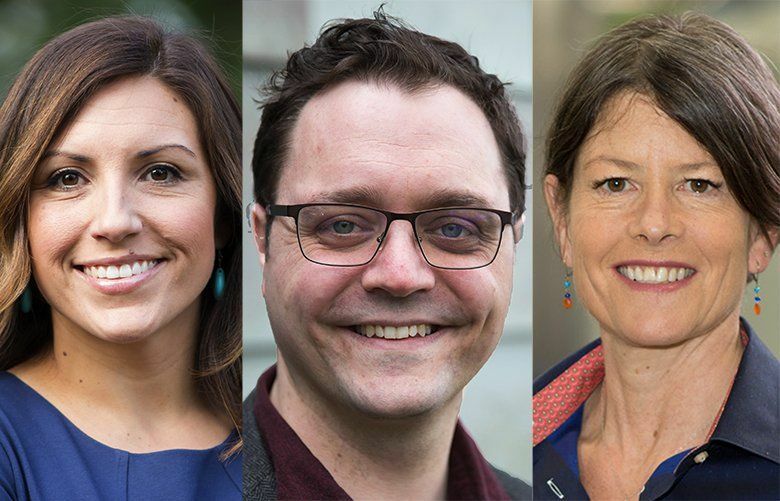 With Wednesday’s vote-counting, Teresa Mosqueda increased her lead in the Seattle City Council Position 8 primary. Jon Grant held on to second place and a spot in the Nov. 7 runoff, but Sara Nelson crept closer. Teresa Mosqueda increased her lead in the Seattle City Council Position 8 primary with Wednesday’s vote-counting. But Sara Nelson crept closer to Jon Grant, who held onto second place and a spot in the Nov. 7 runoff. Mosqueda padded her lead over Grant, bringing it to 6,628 votes. She had 32 percent of the vote after Wednesday’s count, while Grant’s share remained 24 percent and Nelson’s 23 percent. Nelson gained 59 votes on Grant in the latest tally, leaving her 877 votes shy. That may be notable, as recent conventional wisdom is that late votes tend to break for the more left-leaning candidates. Grant is backed by two socialist organizations while Nelson is supported by business groups. The top two finishers advance to the November contest for the citywide open seat that has been held by Councilmember Tim Burgess, who is not running again. In total votes, Wednesday’s returns left Mosqueda, a labor-movement leader, with 29,684 votes; Grant, an affordable-housing activist, with 23,056 and Nelson, a business owner, with 22,179. None of the other five candidates attained 6 percent of the votes. In the council Position 9 primary, incumbent M. Lorena González continued a commanding lead with 61 percent of the vote to Pat Murakami’s 20 percent. The two are headed toward a November faceoff.